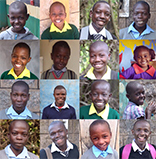 Our mission is to develop and support sustainable education opportunities for children in Kenya. 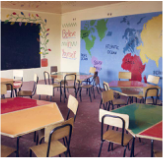 We find this requires a holistic approach to education—​encompassing health, nutrition, and safe living-environments in addition to teachers, schools, and supplies. This, along with working with communities to find sustainable local solutions for local problems, guides our organizational philosophy. 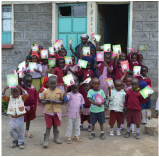 LEI is a non-profit organization founded in 2011 for education development in Kenya—​with the original purpose of building a new school in the community of Longonot, Kenya. While we continue to support the school and community that first sparked our initiative, we have also taken on a number of new projects. Click ﻿﻿﻿here﻿﻿﻿ to see what else we have accomplished in the last six years! Thank you Beverly J. Martin Elementary School for providing lunch and school supplies for all of 2018 at the Longonot Education Center! Construction of the newest classroom at the LPK Daycare Center is finished! We have added new students in need of sponsors for 2019. Check out our sponsorship program! We are pleased and very excited to offer our 100% Donation Guarantee!